723 top ten pages achieved. SEO and Web Design merged to achieve fantastic results. A Professional vancouver web design, search engine optimization service, website redesign, and internet marketing service that can deliver results using the best coding in xhml+css guided by the best practices to deliver you great design for lasting successful results. 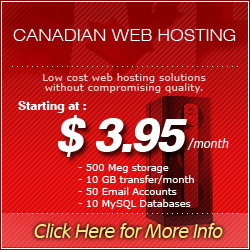 Vancouver web hosting awarded #1 7+ years - Have a look! Search Marketing delivering your web site to product or service hunting visitors, high page ranking and market share can be yours. Fully customized website redesign or upgrading development services from $850. vancouver search engine optimization services , we aim with expert eyes at your prime target, your top 10 visibility, to get you quality targeted traffic that is full of motivated buyers naturally bringing increased sales. Most of your sales will come from motivated traffic with attractive website design. Graphic design, logo, brochure, and advertising designs for your small to large business desiring to prosper and make huge savings on printing collateral costs. Keywords research ( the selection of more appropriate terms for your site): $100 and up. PPC Management (Google Adwords & Overture campaigns management): $150/month and up. Top10 placement (Google, Yahoo, MSN promotion, from 6 months): from $300/month and up. Internet consultation on any concern you have with what will and will not work, how much it might cost, how long it will take to construct or develop, and information gathering to help you determine your best moves. Design your web pages to appear attractive and functional(shopping carts, galleries, content management systems, webmail, mass e-mail systems, tracking and referral systems, banner rotators, and solid Ecommerce solutions. Internet marketing for any project.) By creating web pages using search engine friendly design tactics and web page promotion linking your web pages will appear at (or near) the top of the search engine results. We offer incredible support in Internet Marketing (SEM) or search engine optimization (organic semantic content pattern analysis and strategies to increase your return of investment - SEO/SEM) and web hosting services, including database development and design. RSS and Google Sitemaps �- Blogs and quick google indexing for every web page on your ecommerce website. Website graphic and vancouver logo design services or branding A web marketing plan that will get quality traffic to your website Search Engine Optimization (SEO), copyrighting, web design, advanced structural understanding of the web and how it works, and Internet marketing services expertise. You can expect superb results from us.